LOS ANGELES – Several thousand immigrant rights supporters representing community organizations and trade unions, such as the Korean Immigrant Workers Alliance, Los Angeles County Federation of Labor and DREAMers, young undocumented immigrants fighting for their right to stay in the only home they have known with their families, came together to rally in front of Democratic Senator Dianne Feinstein’s office, demanding that she be a champion for the people and support immigration reform with a path to citizenship. This week the bipartisan group of senators, called the “Gang of Eight,” introduced a sweeping immigration bill, which immigrant rights and labor organizations welcomed, while pledging to keep pressure on for improvements. 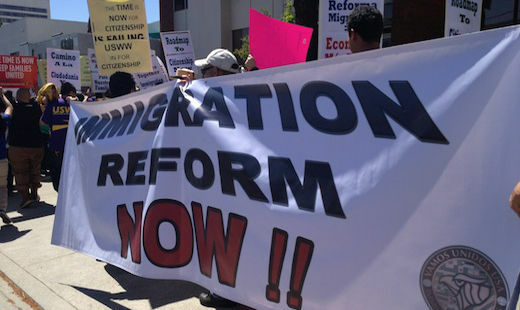 While welcoming the progress on immigration reform, the coalition warned in a statement that “vital provisions” are lacking. 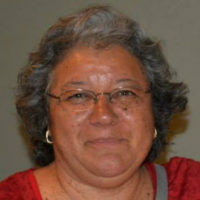 “Those previously deported should have a guaranteed and quick process to apply for return and reunify with their families in the U.S.; legislation should provide practical waivers for those who have not committed violent or aggravated felonies; family unity should continue to be an integral component under the new immigration system,” the statement read. New York Immigration Coalition began to delve into the approximately 850-page bill and offered a brief overview of the positive and negative aspects, available online here: http://www.thenyic.org/PR/BillResponse-4-17-13. Photo: Californians continue to pressure Sen. Dianne Feinstein to be a “champion” of the people and their demand for immigration reform (PW/Rossana Cambron).